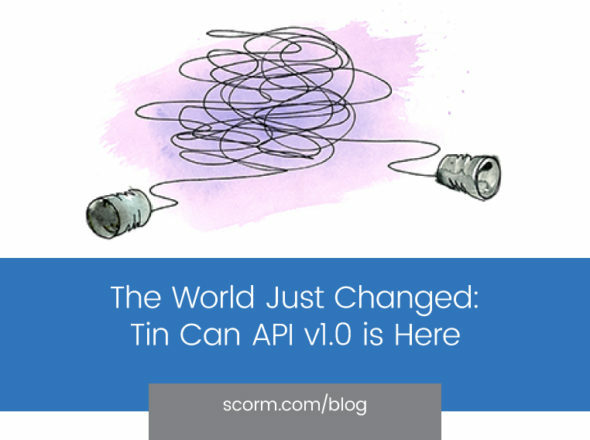 Project Tin Can: Don't Delay! Project Tin Can: Don’t Delay! Over the past couple of months, I’ve had the privilege of talking to many of you about your ideas for what should be done beyond SCORM, and reading ideas and comments from even more of you. Thank you! I’m sure there are many of you out there, who have ideas about the future of learning, who will be impacted by the decisions made in this project, who have yet to speak up. And to you I say: now is the time. In March we’ll be moving on to solving the problems and use cases that have been raised in phase 1. We’ll still want your input, but we’ll be looking for how instead of what and why. So if it’s been a while since you’ve looked at our forum, or if you haven’t yet, please drop by and make your voice heard. There is still time to talk too — whether we haven’t talked yet, or if there is just something you want to follow up on. Please also have a look at the interviews we’ve started to post, they might spark some thoughts you want to share.